Head on over to our Twitter account as we break down the new footage. Watch the highly anticipated adventures of Magizoologist Newt Scamander and Hogwarts Professor Albus Dumbledore in a truly magical location as we launch special screenings of Fantastic Beasts: The Crimes of Grindelwald, introduced by Head Prop Maker Pierre Bohanna. Filmed at the production home of the Harry Potter film series, “Fantastic Beasts: The Crimes of Grindelwald” is the second of five all new adventures in the Wizarding World™. Each evening from Saturday 17th November – Monday 19th November, visitors to these special screenings will begin by exploring the authentic Harry Potter sets, props and costumes that are showcased at the Studio Tour. Highlights include the Gryffindor common room, Dumbledore’s office, the Weasley kitchen at The Burrow and the iconic Platform 9 ¾ that houses the original Hogwarts Express locomotive. After experiencing green-screen technology flying a broomstick over London just like the Harry Potter cast, visitors will receive complimentary hot food, drinks and Butterbeer in the Backlot Cafe. 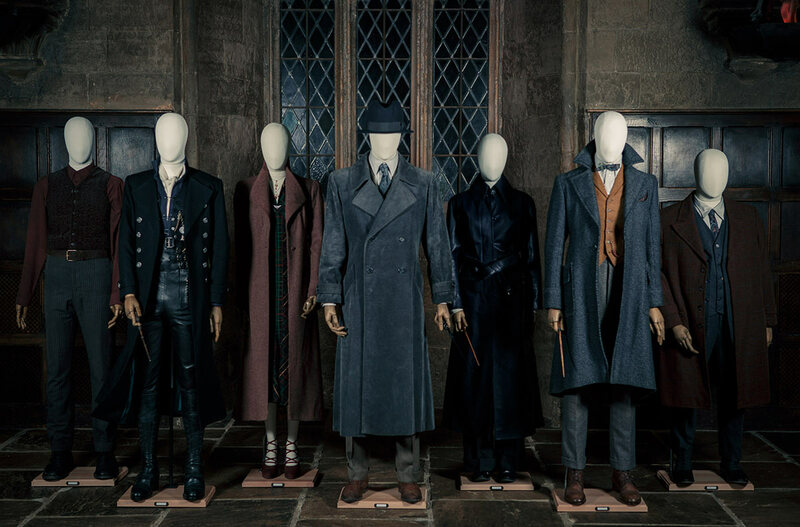 Visitors will also be among the first to see many of costumes and props that will be featured in Fantastic Beasts: The Crimes of Grindelwald that will be on display at the Studio Tour, including those belonging to Newt Scamander, Gellert Grindelwald and Albus Dumbledore. On completing the Tour, visitors will be able to grab a drink and snack before taking their seats to enjoy the screening of Fantastic Beasts: The Crimes of Grindelwald. The film will be introduced by special guest Pierre Bohanna. Bohanna was Head Prop Maker on all eight Harry Potter films and recently continued his work as Head Prop Maker on both Fantastic Beasts films. Tickets are priced at £149.00pp and are available to purchase here from 10am on the 18th October 2018. Visitors to the Studio Tour’s screenings of Fantastic Beasts: The Crimes of Grindelwald will arrive at 3pm and complete the Tour before the screening begins at 7pm. To find out more & to book your ticket this Thursday, click this link!